Rainbow with clouds and sun, isolated on white background. Eps file available. 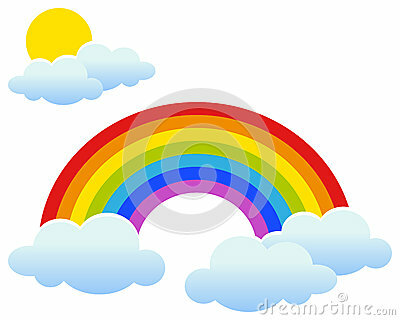 Rainbow and clouds vector illustration. Watercolor illustration blonde girl in red polka dot dress with stripe umbrella on the summer green background. Vector seamless pattern with cute smiling sun, rainbow, cloud, rain drop faces.